Saaniya and Muqaddas, the original duo, were able to gain their short-term fame after being recorded singing Justin Bieber’s Baby in the year 2015. The video went insanely viral all over social media and the girls became the new Pakistani sensation, being called as the Justin Bibis and recognized by several national celebrated singers as well as international news channels such as BBC. Публикувахте от Habib Paracha в 12 юни 2017 г. The original Justin Bibis however, didn’t just stop there. They also made their debuts in a local talk show as well as the World Cup Song ‘Phir Se Game Utha De‘. They even recorded a s mashup of Helena Josefsson’s Broken Angel and part of Noor Jehan’s Punjabi song Jadon Holi Jayi Lenda Mera Naam and were featured in Patari. 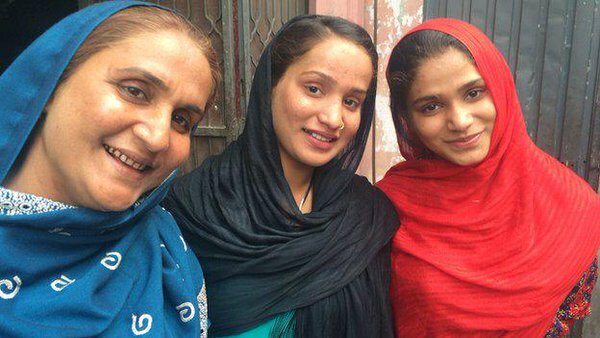 The two young girls were unable to attend school due to lack of funds but after their Baby video, the Pakistani self-acclaimed Rock-star, Ali Zafar offered to sponsor their education if they permitted it. What are your thoughts on the Justin Bibis? Do you wish to see and hear more videos with covers of new songs from them? Let us know in the comments!